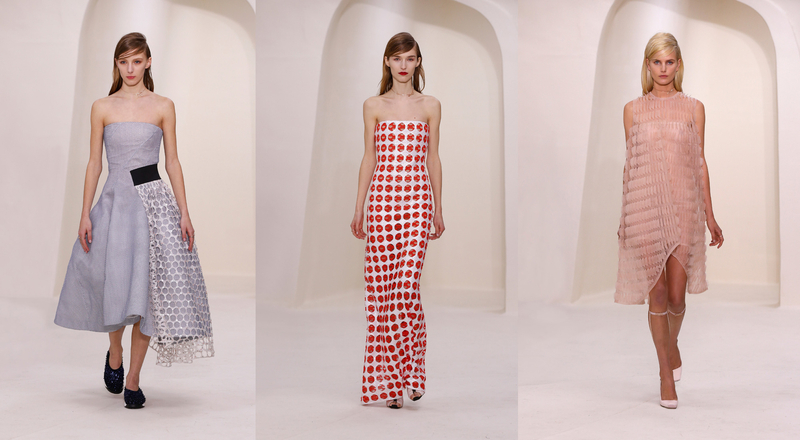 With his fourth Haute Couture collection for Dior, Raf Simons continued his reinterpretation of the timeless codes established by Christian Dior, setting up another intriguing dialogue between the past and future of the House. 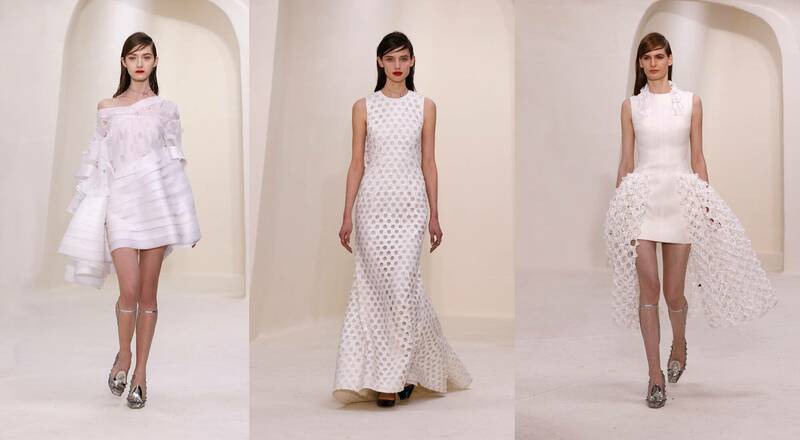 This latest collection, painstakingly crafted in the Dior couture ateliers, was unveiled against an immaculate organic backdrop. The overriding impression was one of admirably controlled modernity, fused with an extraordinary lightness of touch. In cocktail dresses and full-length sheaths, Bar jackets and tuxedos with flamenco sleeves, the Dior woman sashayed gracefully between extreme femininity and sophisticated androgyny. Feather-light silk organza, supremely delicate, was paired with airy cotton and used in sheer swathes and openwork layers, while masterful plays on volume were enhanced by intricately embroidered crystal beads and flowers.